A trusted advisor with the functional and industry expertise you need to manage investor expectations. Count on your experienced advisor to guide you through the complex world of executive compensation. ICS experts are an extension of your team, pointing out the risks you haven’t seen and helping you make critical decisions. You will be assigned an advisor who specializes in executive compensation, and understands how compensation is affected by dynamics within your industry. ICS helps over 1,300 corporate clients throughout the year. ICS analytical tools provide context to compensation and performance data, through the proprietary lens of the ISS methodology. If an equity plan is coming up, your advisor will help you navigate the intricacies of the ISS Equity Plan Scorecard. They will explain the ISS methodology, explain how different institutional investors use different metrics, and help you prepare your board to make decisions on equity compensation governance. Throughout the proposal drafting process, your advisor will help by modeling the equity plan in using ISS’ proprietary model, and help you understand the optimal way to balance your stewardship of equity with the size of an upcoming share request. Although the process is intricate, your advisor will be with you through each step, keeping you informed of the requirements and aware of the dynamic data that feeds into the final equity plan score. Your ICS advisor will also review your CD&A and work with you on both the quantitative and qualitative tests performed by ISS Research. Through this partnership, we will address areas that may be problematic to institutional shareholders. 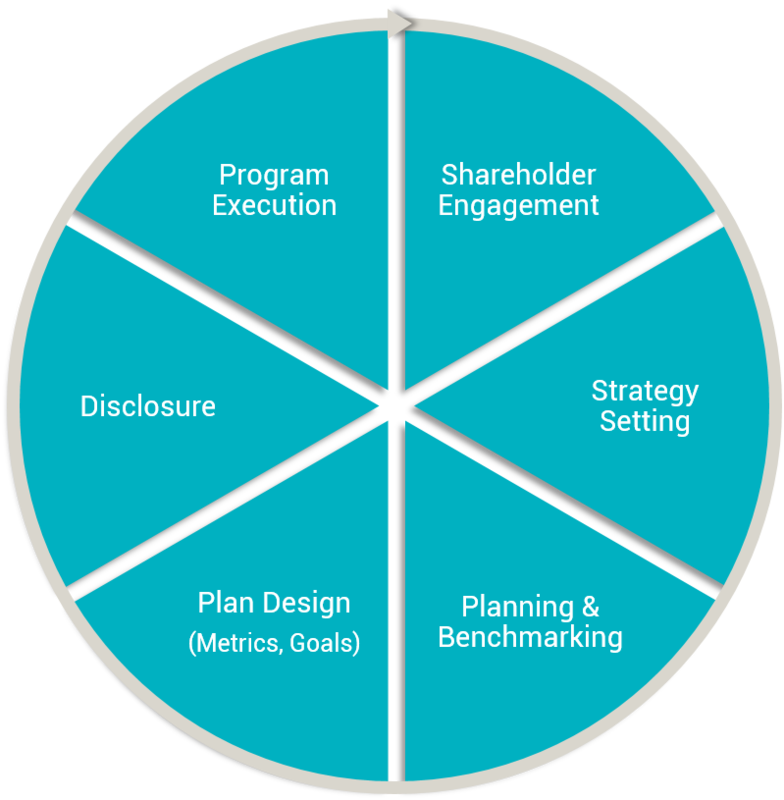 For many companies, ICS’ biggest impact on say-on-pay comes during the qualitative review where your advisor will help you avoid the common pitfalls in compensation-related disclosure, keep you up-to-date with emerging shareholder preferences on executive compensation and compensation disclosure, and identify areas in your own CD&A that would benefit from additional information. A sample report of the briefs sent to ExecComp clients quarterly, featuring topical information. Partner with ICS today for best-in-class advisory support to meet all of your executive compensation needs.